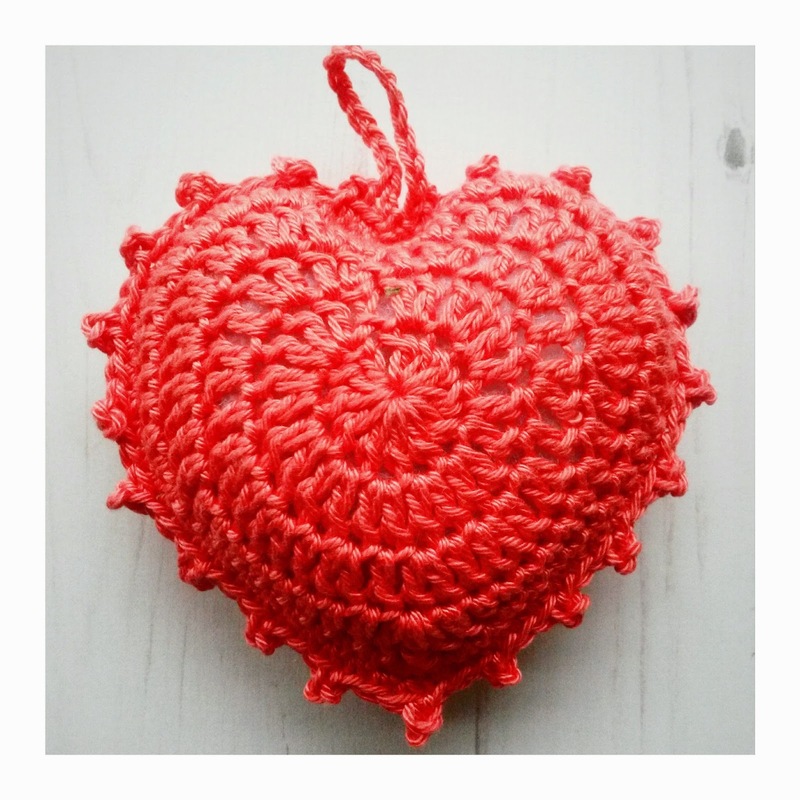 The pattern is not mine, so you will need to head over to Atty's blog and pick up her Heart Coaster pattern and crochet up a couple of them. Crochet one heart completely, cut the yarn and weave in the yarn ends. Crochet another heart, but when complete, do not cut the yarn. The ending yarn on your newly finished heart will be at the top of the heart in the centre. Place the two hearts together with the wrong sides facing inwards. Put your crochet hook through the top of the sl st on both hearts in this centre part, and sl st the two together. Sl st the next st on each heart together. *1 sc in the next 3 sts of each heart, crocheting the two of them together. Rep from * all the way down to the centre point at the bottom. 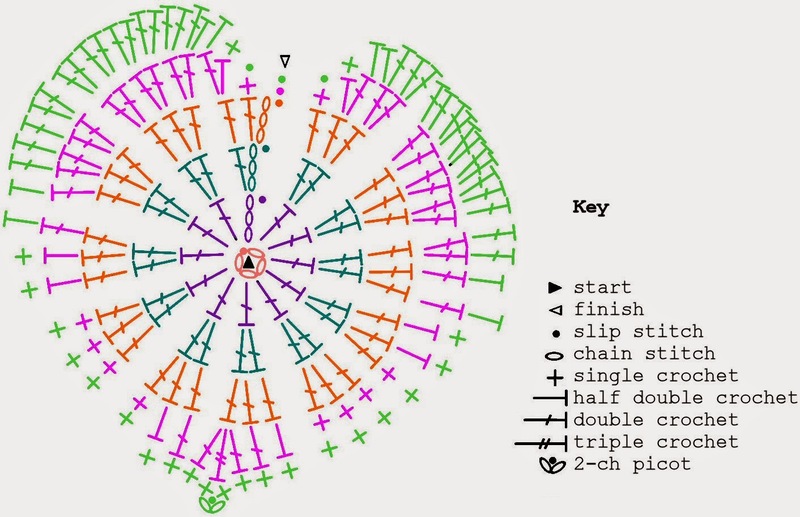 Make sure to do a 5-ch picot in the centre st at the bottom. Continue on with the patterning from * up to top of the bulge of the heart. Stuff the heart with padding or wadding. Continue on with the patterning from * to the second last st.
Sl st in the second last st.
Sl st in the first sl st to join. To make the holder, 20 ch. Sl st again into the same st at the centre of the heart to join.